In this day and age content is literally king and bad SEO firms will use this knowledge to their advantage. If a business wants to be found online then it is imperative to land on the first page of a Google search if not then the business will be shutting its online and offline doors in no time. One truth about doing business online is that a killer SEO strategy is going to be needed. An optimized web presence is necessary for every single business because if it isn’t optimized then good luck having any sort of organic growth and expect to pay the high prices associated with PPC campaigns. There are a few key factors in sorting out the good from the bad and then the bad from the downright ugly when it comes to low quality SEO companies. Many new business owners get completely overwhelmed when they realize how necessary great content is especially if they don’t know how to write well. However, being unfamiliar with quality practices could end up costing a business a lot of money. It’s understandable that a business hires an expert to do the things they excel at, especially when scaling an online business. A great SEO company will make sure that they know exactly what is wanted and then they do what is expected. They will also explain key processes or reasoning behind why they do things a certain way. If there is a bump in the road, at any point, a top notch SEO firm will contact a client immediately before moving forward. This isn’t the case with a low quality firm. It’s actually the opposite of what any sane business person would expect from a firm hired to work for them. A SEO firm that is low quality won’t consult with their clients, they fly by the seat of their pants, and they make decisions without approval. 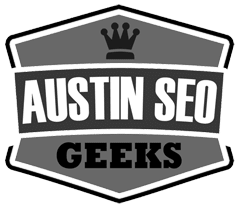 Austin SEO GEEKS is also a marketing strategy firm so not approving some of the strategies or ‘tricks’ a low quality SEO firm might use could land a business in some very hot water. Poor communication will result in lost business in the long run. When hiring an SEO firm make sure they explain things clearly, set out a plan, and answer questions for their clients. If an SEO firm is not doing these things then immediately run for the hills and continue the SEO firm search. If an SEO marking firm starts guaranteeing a #1 rank on Google this is a clear indicator that the person is a scam artist. First of all, Google’s algorithms are consistently changing. A business could rank one week and then be on the next page of Google Search. Google’s algorithm changes all the time. The key is not to panic and act when it does. Slow and steady sometimes wins the race. Second of all, due to intense competition, especially for a highly competitive key word is nearly impossible to rank right off the bat. It just doesn’t happen unless there is a staff of highly trained SEO content marketers working around the clock to produce highly optimized articles for that key word for at least an entire year. PLUS, your competitors in the #1, 2, and 3 spots do something scandalous to get knocked off the map by Google and have their sites banned – you could possibly climb the search engine faster. If it feels like an SEO firm is offering to sell the Moon and the Stars then this is a red hot warning sign this is an SEO firm that should be avoided at all costs. They will promise hundreds of back links, or other things that most are clueless about but here is the thing: those backlinks or links might get a website banned from Google permanently so it’s important to hire an SEO firm to do it right the first time even if that means it will take a little longer. A quality SEO firm will take a different approach all together. They will want to help their clients build a sustainable online campaign that will involve long term organic growth. They will ask about their client’s budget, their ROI, and long term goals. If an SEO firm is not concerned about these things then immediately disengage. SEO company should also do a little research on the companies reputation. Does it need reputation managment – since there are bad reviews. An SEO company should care about the long term repution. A low quality SEO firm will have staff that are consistently busy and overwhelmed. They don’t even have enough time to eat lunch let alone take a phone call from a client. When working with a high quality SEO firm each client will be assigned an account manager. These managers are there to help their client grow their business so if this person doesn’t have time for their client then it’s possible this SEO firm is a marketing mill. Before signing on the dotted line and getting into any contracts ask questions about the number of clients each account manager is assigned. Call them during peak business hours to see if they actually answer. Moreover, leave a voicemail and see how long it takes them to respond to it. If an SEO firm can’t do these basic tasks quickly, respectfully, and efficiently then continue the search for a firm that will. SEO is a strategy that pulls together a much bigger picture. A company’s SEO strategy will ultimately determine the success of an entire business on and offline. A great SEO firm will know that this marketing strategy is the glue that holds together the website design, its usability, public relations, social media marketing, and even traditional marketing. Without SEO all of these other things would simply fall apart or fail to function. Google takes things like the usability of a website into consideration when determining a business’s rank. If an SEO firm is not focused on things like AMP, online presence being web responsive then there is no way the website will ever rank given the competition. SEO is not something that can be isolated into one thing because it literally is EVERYTHING. A great SEO firm knows that content, blogging, web copy, social media posts, and even tweets are going to be what makes the strategy rock and lead to a successful website and business. The world of online marketing changes in the blink of an eye so it’s vital to stay up to date on industry lingo and basic strategies. If an SEO firm is mentioning things like Bulk Directory listings or Link wheels then just move along to the next company. There are some marketing strategies that might have done wonders even up until this year but they don’t work forever. An awesome SEO firm won’t even bring up a strategy that will waste a client’s time or money.In the long run when hiring a top notch SEO firm look for the one most interested in the business that needs to be marketed. Make sure that they ask a lot of in depth questions such as budgeting. Make sure they are interested in the fine details and future goals of the business. If they don’t ask or do these things then keep looking.